Your Local Source for News and Entertainment for Muskegon Michigan and Surrounding Areas | MuskegonChannel.com | - The Muskegon Channel | We Have A New Story to Tell! Last year, Music for Meds was the first time that M.A.P. tried the "Dueling Piano's" idea for entertainment and what a night! 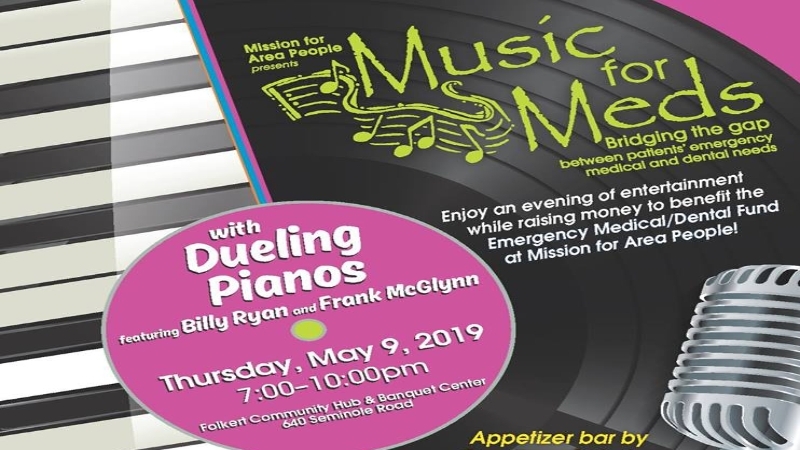 Local pianist and all around great guy Billy Ryan called in a favor to Matt Giraud for the night and a packed house at the Folkert Community Hub was entertained for hours with requests, dancing, great food and of course the purpose of helping M.A.P. Billy returns this year with Frank McGlynn for the evening on May 9th. The pianos will be facing off on the stage at the Folkert Community Hub and the fun gets underway at 7p. If you can request it, chances are they can play it. If you want to out bid the last guy to get your request played quicker....what are you waiting for? There will be an auction for a mobility cart as well as some other great items. You'll find delicious food from Creations Catering and a cash bar to get you in the mood for some dancing and requesting! Dianna Stubbs is the Executive Director of Mission for Area People. She's also one of my all time favorite people, so it's not hard to get me down to M.A.P. to catch up with her to find out what's going on. Take a listen. Trust me when I tell ya, you're in for a good time. Tickets are only $30 bucks or you can get a table for 8 for $225. It's fun for all ages and some of the stuff you hear requested will amaze you. It's a night you won't forget and it's a cause that is so vital for those who might otherwise slip through the cracks. You can visit the M.A.P. site by clicking on their image below. Today, "Link Up" is a nationally embraced brand that brings kids and schools together, 54 schools in Muskegon today to be exact, to see just what happens when music is created without "autotune", and sampling of every other note ever written by someone else. Actually, it goes even deeper than that. The Link Up curriculum program comes directly from Carnegie Hall and the West Michigan Symphony was the first remote location to adopt the program as well as the only symphony to keep it going for the entire 16 years it's been around. There is actually more classroom based learning in the program than the one day concert experience, but there is also hands on application of what's been learned. Students all brought recorders and were able to play along at points, it's all about music education and giving students a chance to dip their toe in the water a little as they get set to head to the 5th grade where they will have the opportunity to take some music classes for real for the first time. It's the beginning of curiosity and like any interest sparked could lead to a life time of appreciation and enrichment. The West Michigan Symphony is a tremendous asset to have at the Frauenthal Center and they are still "in season" for a couple more shows until the Summer break. To see the face of a young person light up when all of the different elements of a symphony combine, it's still priceless. Music is a uniquely human endeavor, and from one violin doing a pizzicato to the entire ensemble combining for thunderous sweeping sounds like you'll hear, it's part of arts and culture that every kid should get a little piece of once in a while. Andy Buelow is the Executive Director of the West Michigan Symphony and he invited me down to see first hand the Link Up program and talk a little about why it's so very important for young people to get a taste. Take a listen. Did you go too when you were a kid? There is so much placed on STEM education and of course college prep, skilled trades...on and on...but it's so important to remember what the arts add to the over all educational experience to balance out all of it. Not everyone is going to be Beethoven, that's a given, but a level of appreciation for things other than what's on YouTube or on the soundtrack of Fortnite is essential to young minds....old ones too. 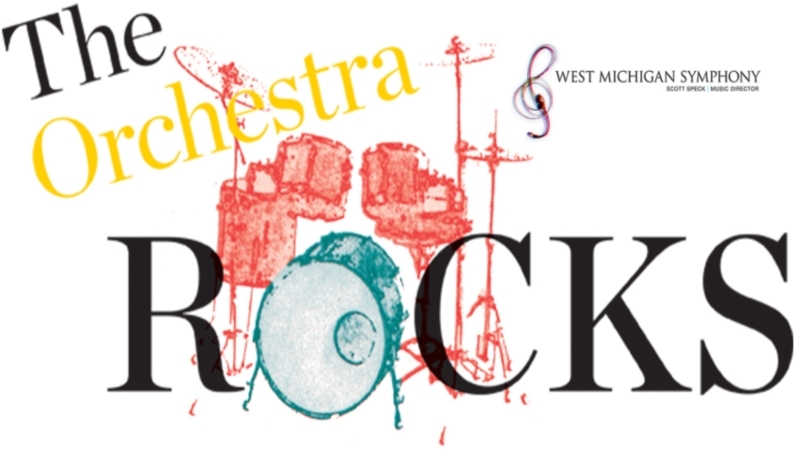 If you'd like to know more about the West Michigan Symphony Orchestra, click on their logo below to visit their website. It's that time of year again, you know the one where you get your best girlfriends and head out for a girl's night out. 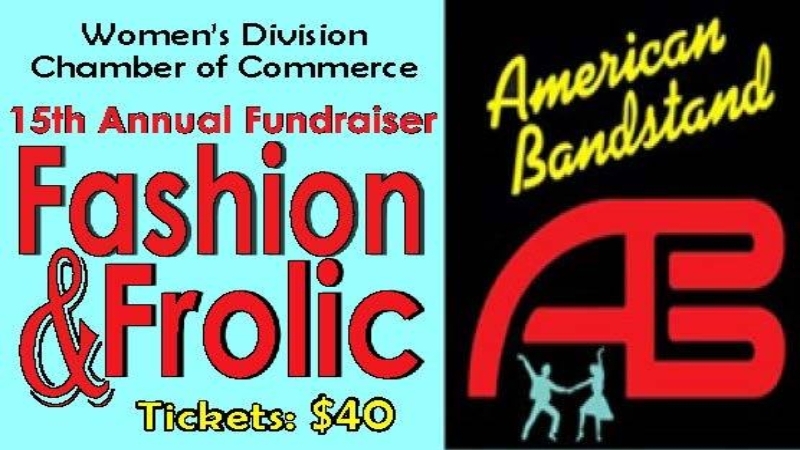 The Women's Division Chamber of Commerce is hosting their 15th annual Fashion and Frolic on May 2nd at the downtown Holliday Inn & Conference Center. You will have a night packed full good food, shopping and maybe a drink or two. Much like the past years there is going to be a mobile and online silent auction. The online auction is set to start on April 26th which you can access through the events page, just click on the image to the right. On the link listed above you will also see the full list of vendor marketplace participants as well as the start times for all of the night's events. So, my advice to you would be to contact them at 616-550-6084 to secure your tickets which are $40 each and have an awesome night out. I had a chance to stop into Sparrow Boutique to visit with Cee Cee Taylor to hear a little more about this years event, take a listen. It's a really fun time and it's a great cause. The WDCC helps so many worthy causes in the area, and they know all about throwing a party! Don't miss Fashion and Frolic on May 2nd. If you'd like to know more about the WDCC, click on the logo below to visit their website. Fit and Healthy With Becky Episode 95 - We're Planking! It's a 5 minute work out stressing 5 different styles and you'll be building up some endurance on this one!! Some of you might be thinking "5 minutes....pshaw", well, let's just see how that's going for you at the end! As always, check with a Dr., warm up, stretch out and drink plenty for fluids!! Here comes episode 95 of Fit and Healthy With Becky on The Muskegon Channel! Thought it would be easier didn't ya? Keep coming back. It gets easier. Becky is a Certified Personal Trainer and can help whip you in to shape in a group or a one on one setting. She's also behind the Arts and Draft's 5k coming up in Norton Shores this Summer. It's a fun event open to all, and you are invited!! Click on the photo below to get registered early!! 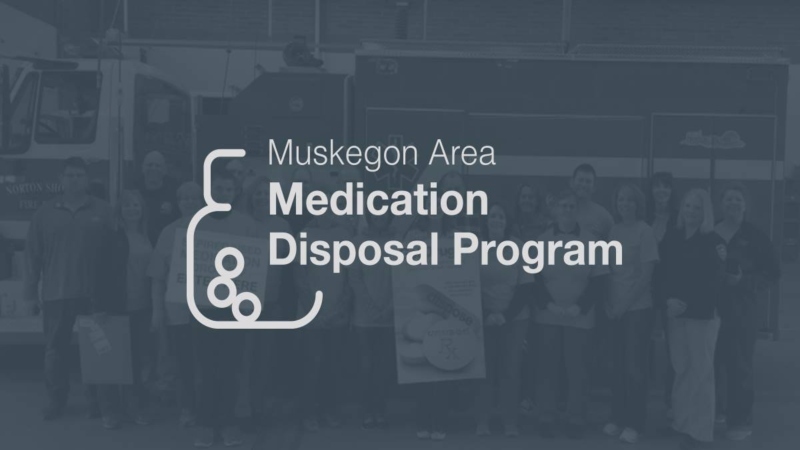 We've reported on the Muskegon Area Medication Disposal Program (MAMDP) for a few years now, reason being that it's important. You'll hear some staggering numbers in today's interview that our local emergency on prescribed medications is right on par with the national news you hear about the staggering numbers of prescriptions being used and abused. At no point are we saying that if medication is needed, that people shouldn't receive it but once the therapy is completed, what to do to properly dispose of the leftovers. The dangers of keeping meds in the house? Kids can get in to them. Not just yours, but visiting friends. If you have a gathering, people could very well be looking in your medicine storage areas when you're not looking. Opportunists take every chance they can get to get their hands on what they want. April 27th will be your chance to safeguard yourself and your loved ones with no questions asked. You simply drive up to the Norton Shores Fired Department on Pontaluna, fill out a short anonymous survey, drop off what you have and you're done. It's that simple. The take back will be from 9a-1p. I met up with my good fried Brian Harris with the Norton Shores PD and Carrie Uthe from the MAMDP to get caught up on the statistics and effectiveness of the program here in town. As we opened the story, you'll hear some pretty stunning numbers about the use of prescriptions here in the area, and the need to get those not being used safely off the streets. Pretty amazing numbers, pretty scary statistics and a fairly safe solution to all of it. 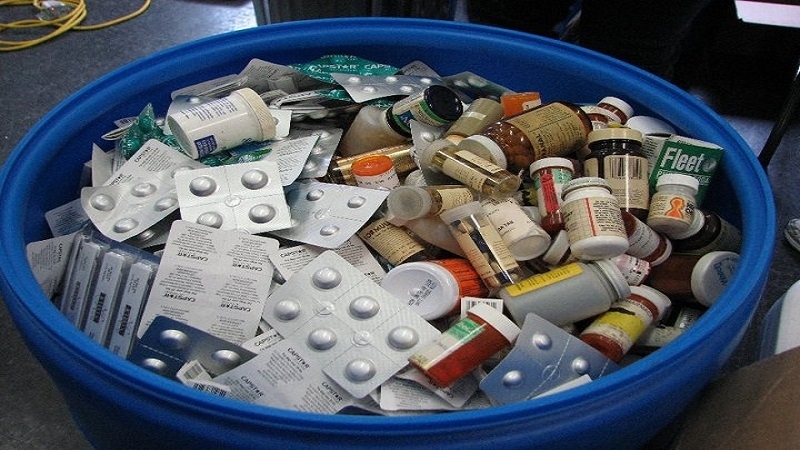 If you've got old medications around, get rid of them. It's a no questions asked opportunity to safeguard your home and family and a way to make sure the environment is protected at the same time. If you'd like to know more about the MAMDP, you can click on the photo below to visit their website. We all look for a way to leave an impact on the lives of those around us and, for our own personal satisfaction, we like to see that our knowledge and experience in this world will somehow be passed along to others. Let's face it, a life time of acquired skill and knowledge ought to be passed along, it's part of the human experience. We are also bombarded with way's to do that in today's day and age. It seems that everywhere you turn. There is a never ending list of chances to be involved in what's important to you, and your community but there are some "golden standards" that have not only built a proven track record of success, they have also gone on to serve generations of people both here on the Lakeshore and all over the country. One of the biggest is Big Brothers and Big Sisters. Nationally, Big Brothers and Big Sisters has been making the lives of young people, and quite honestly, the lives of adults better by pairing up "Bigs and Littles" as matches for one simple purpose, from their national website - "Big Brothers Big Sisters has operated under the belief that inherent in every child is incredible potential. 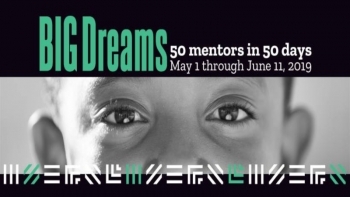 As the nation’s largest donor- and volunteer-supported mentoring network, Big Brothers Big Sisters makes meaningful, monitored matches between adult volunteers (“Bigs”) and children (“Littles”), ages 5 through young adulthood in communities across the country. We develop positive relationships that have a direct and lasting effect on the lives of young people." It's not a heavy financial commitment, it's not trying to be better than the "guy down the street" or anything else. It's about presence. It's about being there for a young person who might not have that positive role model in their lives and they need someone to hang out with, bounce some things off once in a while and generally, get some stable guidance in the game of life. F Follow BBBS Lakeshore on Facebookor those who take on a Little Brother or Sister, the payoff comes in knowing that their gift of being there gave someone a chance to know things are ok. From anyone I have ever spoken to who's participated, the rewards for the "big" are quite often more than they ever imagined, and the enrichment of their lives is more than any money could buy. On the Lakeshore, BBBS is celebrating it's 50th Anniversary this year!! Quite a milestone! And, as it works out, they have 50 kids who are waiting to find their match. They are on the hunt for some people who are willing to spend a little time with a young person, be their guiding hand a little and to be willing to help set a path for their future that will be positive and productive. A way to leave your mark on this world, yes...for generations to come just by being there. There are a LOT of activities planned, there are a LOT of opportunities for your to get to know more about BBBS of the Lakeshore and we began by visiting their party at the Lakeshore Fab Lab located at the Muskegon Community College campus in Downtown Muskegon. We talk first with Suzanne Prell and her little, Shelly Morningstar is a big and, she brings her BFF along, and finally, we'll hear from Lisa Hegenbart who's the Executive Director of the BBBS of The Lakeshore about all of it. Take a listen! It's not about how much you can spend, or who's got the coolest this that or the other thing. BBBS is about making a connection you never even knew you needed. It's about finding that match that will forever change the lives of 2 people. It's a little about giving of yourself and finding in return that what you gave, came back 10 fold because you made the difference in a young persons life. If you'd like to know more about BBBS of the Lakeshore please, click on the image below to visit their website and think about taking that first step. Truly we are blessed to live in such a magnificent area of the World... West Michigan.... even MORE spectacular?.... That we live near (completely salt free) Lake Michigan. We recently caught up with our dear friends at Mart Dock... Tanya Gonzalez and Patrick McKee who are gearing up for their first full season with the newly refurbished AQUASTAR!!!! So many fun things already planned for this first season on the lakes.... but even more possibilities that are wide open to anybody who wants to fully enjoy our gorgeous West Michigan waterfront with family and friends. The AQUASTAR is also available for private outings. 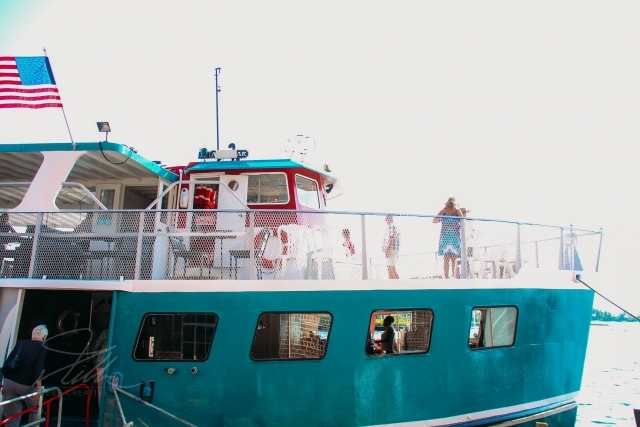 Weddings...Receptions....Reunions...Anniversaries...Employee Parties...Midday cruises...Birthday Party cruises...Sunset cruises....YOU name it! 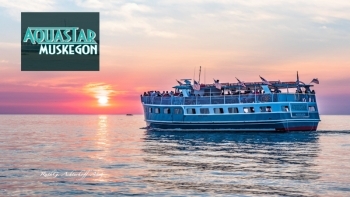 We here at MUSKEGON CHANNEL couldn't be more thrilled to be hosting the very first CRUISE on Friday, May 17th, The Positively Muskegon Season Opening Cruise....leaving the dock at 7:30pm for an incredible sunset cruise... Complete with cash bar... Hours d'oeuvres....music....dancing....super fun!!! ONLY $10.. PER PERSON!! $10 bucks per person!!!!!!!!! I caught up with Patrick and Tanya to find out a little more about the renovations, the cruises that are planned and how you can book your own cruise! Take a listen! We're so very lucky to have the Aquastar here! Not only for the great cruises provided to us, but to help show those who visit what Muskegon is really all about. 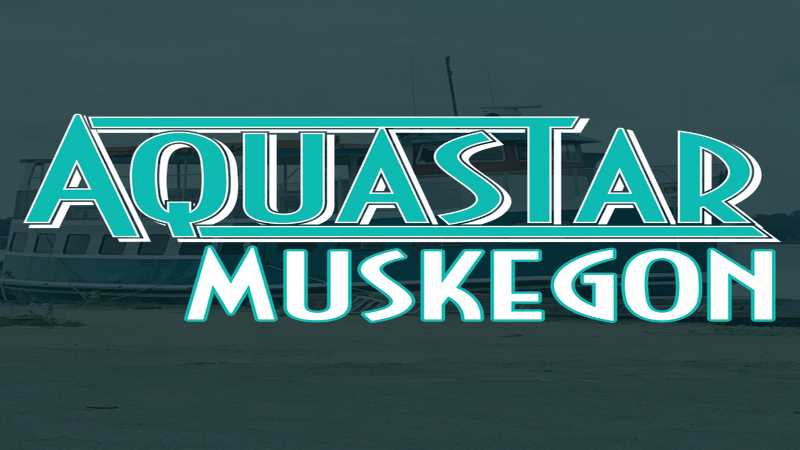 It's a season of celebration with the newly revitalized Aquastar in Muskegon. 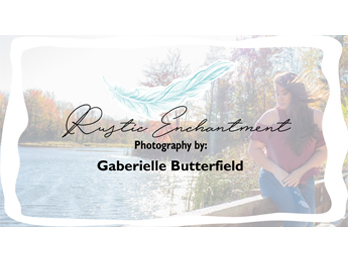 Click on the picture below to visit their website to see all of the fun coming up!! 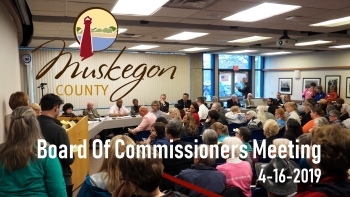 The Muskegon County Board Of Commissioners invited The Muskegon Channel to broadcast the meeting live from the Louis McMurray Transit Center (MATS) in Muskegon Heights. 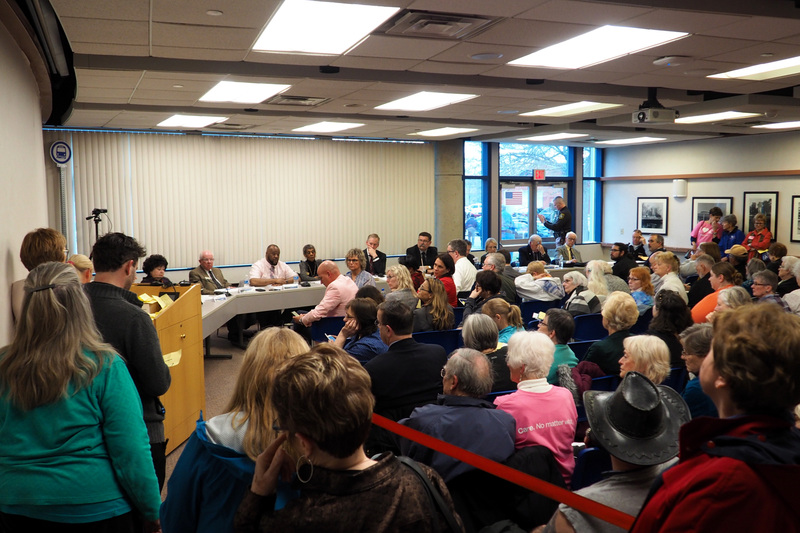 This particular meeting concerns the proposed ending of the lease agreement with Planned Parenthood of Michigan in the county's health department building at 209 E. Apple Ave. Public comments with supporters from both sides lasted over four hours before the commissioners voted on the proposal. 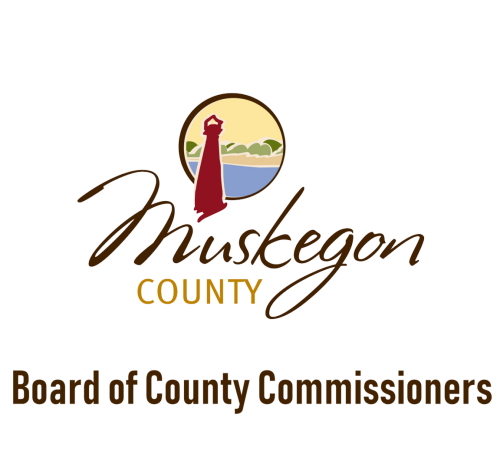 In the end The Muskegon County Board of Commissioners voted 6-2 to end their lease agreement with Planned Parenthood of Michigan. Here is the recording of the live video in its entirety. Like so many other organizations, The Muskegon Humane Society relies on the generosity of the community, the help of countless volunteers and the occasional fund raiser to meet the needs of the animals they serve. One step in the door and the sound of the barking and a couple of meows will tell you that everyone in there that's being taken care of is doing fine, but they would much rather have a nice big yard to play in and a place to call home. The Humane Society has had some recent building improvements like a new roof added, so that's pretty awesome and of course their day to day needs like food, litter, towels and other essentials for an animal shelter are always welcomed. This Saturday at Fricano's you'll find lots of great silent auction items, some really fun games, a photo booth, music, drinks, some of the best pizza, salad and bread-sticks anywhere and of course, some of the furry friends who might be looking to go home with you. Who says you can't pick up a quality mate at a function like this? Alexis Ogborne is the head of the Muskegon Humane Society and we caught up a bit on the fun last year and what to expect this year, take a listen. Fun and purpose. A great night to be had by all and the cause to be championed is one everyone can agree on. Grab yourself some tickets by clicking on the picture to the right up above and join the fun! If you'd like to know more about the Muskegon Humane Society, we've added a promotional video they have on YouTube below. Take a look at the great work they do with, and for animals here in Muskegon. Enjoy the party Saturday at Fricano's! Fit and Healthy With Becky Episode 94 - Cardio Burst! Well, from the title of this one, we're going to go ahead and open with "always consult a physician before you start this or any exercise program". Best be upfront about what's to come. You might be in for it this week but if you've been chuggin' along with Fit and Healthy With Becky on The Muskegon Channel, you should be fine. It's the tabata format again, bursts of exercise followed by a brief rest, switch exercses and do it over and over. This is stepping it up a little, so listen for Becky to tell you the intermediate or beginner steps in her video this week. Here comes episode 94 of Fit and Healthy With Becky on The Muskegon Channel. Told ya this one took some horsepower. You did it tho. Guess what? If you come back again tomorrow and do it again, it will be easier, same for the next day and the next and so on and so forth. It's just how it works. Before you know it you're a regular old customer at Muscle Beach. Or, maybe you'll be all primed up for the Arts and Dash 5k in Norton Shores which Becky is cordially inviting you to this August! Click below for more details. It's also a phenomenal way for business to find top recruits as well. There are some who just kind of "have the knack" for this kind of thing and to be able to foster that imagination as well as develop the natural ability to work on technical and mechanical endeavors. 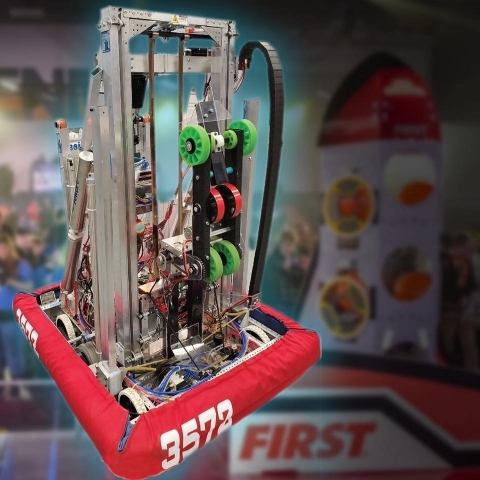 The participants of FIRST Robotics are quite often watched and approached by companies looking for their talents and they can move right on into college or other training programs by the merits they have attained in their time competing. This is all a very exciting and very incredible way to teach, learn and grow. Locally, we're very fortunate with teams. They work together to help each other out, but like in racing... "when the green flag drops".... it's game on. Two of our local teams have quite a little "friendly" battle going on too. 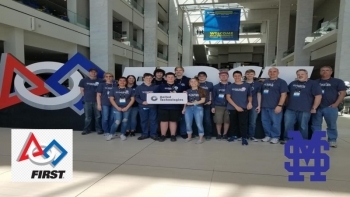 The MARS Rovers and the Mona Shores Wavelenghts have each won a local competition and they are both heading to the State Competitions this weekend..then on to the World Completions in Detroit after that! As the local "battle" heats up, we paid a quick visit to Mona Shores to visit with the team and let them talk a little "smack". Meet Grace Hilleary, Ethan Vitek and Wavelengths team adviser Andrew Basse in the workshop for the team at Mona Shores. We're proud of all of our area teams. We're also proud to continue to show you the progress of the competition as the State and World events come closer. 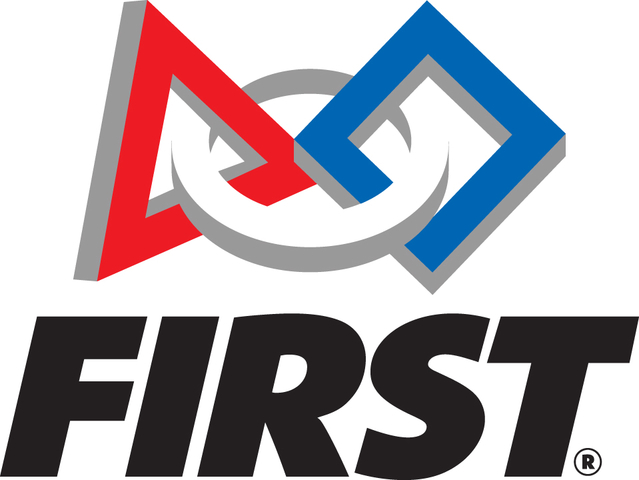 FIRST Robotics is just an amazing program and if you've got a young person leaning toward these kinds of doings...get them involved! To learn more about FIRST click on the logo below to visit the main site. Muskegon County Airport Continues Growth! 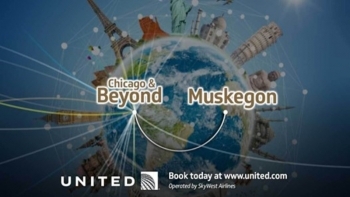 It's all part of the commitment that Jeff Tripp and his staff at the airport have to offer anyone who checks Muskegon first a premium flight experience, sometimes at a lower fare than you'll find anywhere else. Forget about the costs of hotels and expensive parking at the "big city" airports. If you factor all those in, plus the added time and stress of getting to one...you can see pretty quick that Muskegon is a no brainer when it comes to your next flight. They are also adding more fun flights to casino resorts all over the country. Laughlin Nevada, Biloxi Mississippi and Atlantic City New Jersey are on the short list and the prices for these tours, you can't even drive to one of them let alone a flight, hotel and everything else included. Jeff and I caught up for a quick chat about all thins Muskegon County Airport. Take a listen. Keep it up! The better the airport does the more flights that will come and we'll have more ways to get more cool places and we won't have to mess around with all the hassle of the big city's. Thanks to the Muskegon County Airport for their support of our work!! Remember! Always check Muskegon first when you fly! Muskegon Comes in 3rd!! - For STD's. Ok, Yuck. Let's Fix That. It's not the greatest to know that Muskegon consistently ranks 3rd in the state for Gonorrhea and Chlamydia. The reality is we do. What's more alarming is the age of those contracting these diseases. 15 to 24 year olds are the groups most commonly effected by these communicable diseases passed by bodily fluids, some as young as 13 as you'll hear in the interview. We're not here to shake a finger at anyone but those ages show that like anyone, curiosity kicks in and there is still a great deal of whispering going on about sexuality at those ages, so...if something happens like a communicable disease...those effected are quite often shamed or confused and afraid to ask for help from a family member so it goes untreated and can lead to a much bigger problem later in life. There are services in place to educate and help put a stop to this. 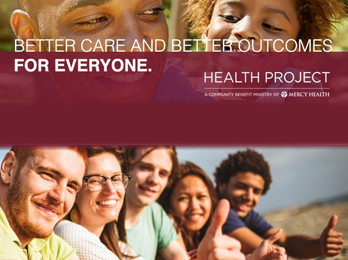 In Muskegon, The Health Project helps a coalition called UpFront. The UpFront coalition works with Public Health to educate people about the transmission and prevention of STD's. What was known way back when as the "Free Clinic" has become a little more tech savvy, a little more accessible and can even help to protect the anonymity of those who are effected or those who have come into contact. It's simply a matter of facing the facts and getting treated should a problem arise. The treatments are remarkably simple too, as you'll hear in the interview below. Shelia Wilson and Kate Asher are with Public Health in Muskegon and we got together to talk about the statistics and the simple treatments. 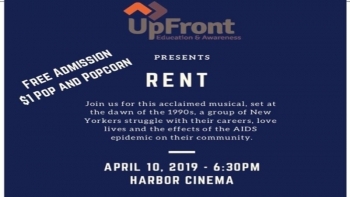 We're also talking a little about an event coming up at the Harbor Theater on Henry Street where they will be showing "Rent" free of charge on April 10th. The showing will be accompanied by some discussion and a chance to learn more about UpFront and how they can help if you need it. Take a listen. A free night and some info you can use! Take the "unspeakable" by the horns and get it taken care of. As we talked in the interview, abstinence and protection are paramount. Should you find yourself in a predicament though, don't put it off and don't spread it further. Public Health and the UpFront Coalition are here to help and all it takes is you to ask. If you'd like to know more, please, click on the link below for their website and get that knowledge. 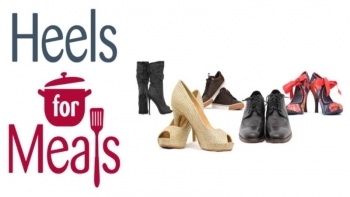 I look forward to only a few annual events...and I couldn't be more excited to be co-hosting one of my favorites this coming Saturday, April 13th... HEELS FOR MEALS to raise funds and awareness for AgeWell Services' Meals On Wheels program. Such a fun event...but for such an important cause.... Raising the much needed funds to help feed our Seniors in the greater Muskegon, Ottawa and Oceans Counties. But it's so much more than a meal...it's the caring and companionship that forms a bond between people. I caught up with Greg Sischo to talk about the event a little. Take a listen. It's a wonderful night for such an important cause. You can also visit AgeWell Services online by clicking below! 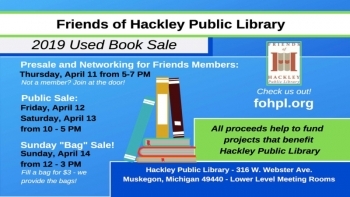 The Friends of the Hackley Library hosts an annual sale to directly benefit the library! This year, the sale runs from April 11th- April 14th and it's your opportunity to build up your book collection, or movie collection, or cd's or what have you while you're helping the Friends of the Library support our historic gem. Annually the Friends of the Hackley Library commit to raising $20,000 for the library and they do it with a multitude of events like the Book Sale, "The Bling Thing" and more. It's a commitment of love and passion by people who are truly proud of the Hackley Library and all it represents in Muskegon. You have a chance to go to the advance evening Thursday April 11th, if you're a member of the "Friends", and f you're not...you can join right there at the door. After the members only event it's a public sale Friday and Saturday and then on Sunday, it's a chance to fill a bag with books and walk out for only $3 bucks! I had a chance to catch up with my dear friend Barb Klingenmaier of the Friends of the Hackley Library and she brought along the new Director of the Library Joe Zappacosta for an introduction to our viewers of The Muskegon Channel. Take a listen. If you need some Summer reading material or maybe you just want to pitch in and help out with the historic Hackley Library, make sure you check out the book sale! It's an easy way to do a little something for such an essential and historic part of all things Muskegon! You can click on the photo below to visit the Hackley Library website! With the new energy, comes some who are willing to invest in bringing some new entertainment to town to go along with the anchor offerings of hockey, arena football, indoor soccer and more! One of those is ELQ Entertainment headed by Eric Quintero is doing just that. We have seen concerts brought in by him that range from country to rock and diving into Electronic Dance Music (EDM) seems like a really good fit with not only the popularity of the genre for fans, but...the close proximity of Muskegon to one of the biggest EDM events in the world every year... Electric Forest. The average attendee is a 20 something that loves to be immersed in music and visuals. Where the "older crowd" might have been out moshing it up, this generation is pretty happy dancing to their own thing and letting themselves get lost a while in their minds as the beats drop and the buzz of the music takes over. Don't be shy about trying it out tho if you are a little on the older side. I can tell you from a few years of Electric Forest under my belt....events like this don't draw a world wide audience because they are boring. 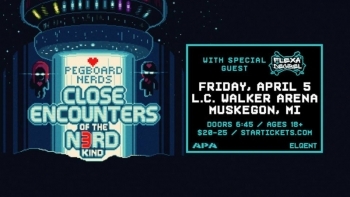 Eric and I met up at the LC Walker Arena to talk about the show this Friday and share some thoughts about our re-emerging "scene" in Downtown Muskegon. Take a listen! It's going to be a great time. It's about supporting what's going on and trying something new! EDM is nothing to be afraid of and if you've become that old codger sitting there saying "Those damn kids these days...." imagine what your parents thought when you came home and said you were going to the "Ratt Poison" concert at the LC Walker Arena. Don't become that! 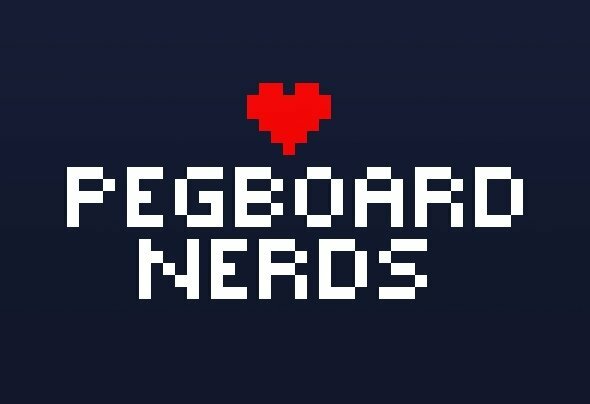 Check out some of the music of The Pegboard Nerds below and check out the show Friday night Downtown Muskegon. Bet you end up diggin it! Fit and Healthy With Becky Episode 92 - Tabata!! It's been a while since Becky busted out the timer! Yes, Tabata is a workout program based on bursts of work, followed by bursts of rest and it's all designed to mix it up when it comes to what your body is experiencing. After all, a routine is good but you want to change things up a little and get those muscles attention. 20 second cycles of lunges, squats and more. Add in some dumbbells for your proper pump-a-tude and you're getting it! Warm up, stretch out, plenty of water...consult the doctor and all those other legalities because here comes Episode 92 of Fit and Healthy With Becky on The Muskegon Channel. It was another awesome time at Smash! Wine Bar and Bistro in Downtown Muskegon as Muskegon Tonight Live rolled on it's 3rd installment! The idea is simple. 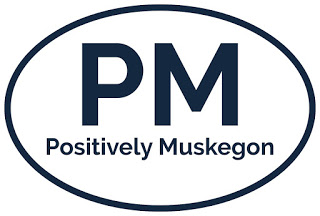 We at the Muskegon Channel and Positively Muskegon believe that Muskegon deserves it's own locally produced media and that we just don't have enough. We have worked since 2015 when it all began with a free blog program and a GoPro camera to change the way we see ourselves in Muskegon and the way we are portrayed in the West Michigan Area as a whole. Flash forward to 2019, and we're now able to bring you live 1080 hd broadcasts that are produced by people who all believe in the same mission of our story and our people in Muskegon. So, as we've grown, so have our programming offerings and we'll continue to do just that. You can now watch on your computer, you can cast to your favorite TV in your house and you can even get the Muskegon Channel Radio App in the Itunes App Store or Google Play and take all of our platforms with you! On our third show, We welcomed community leader and activist Eddie Sanders Jr. to talk about Muskegon Heights Tiger Pride. He also treated us to his latest single "If You Can Read" which inspires young people to pick up some books! Jeremy DeWitt added a new Freak Your Geek out visiting Guy DeBoer from Guy's Ultimate Kayak Service and his amazingly huge watch collection. Joel Selby from West Michigan Student Showcase came by to talk about this years event at the Frauentahal and Christoper Cordle played some pretty awesome acoustic songs to wrap things up. 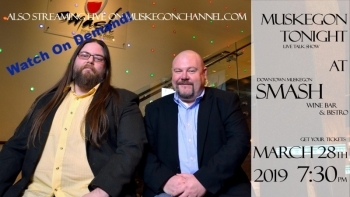 It's all right here on demand if you missed it live....so enjoy episode 3 of Muskegon Tonight Live from Smash! Wine Bar and Bistro! A fun show with great guests!! Our many thanks too to our audience who came for the live show and Smash! for being such great hosts! The good news is, we're already booked for April, May and June....so stay tuned for our upcoming guests and ticket availability. For links to any of our guests from the March show, so you can get more information about them follow the links in the photos below! Thanks for watching! April 13th is the date and the game is to be played at 6PM at Lakeshore Sports Center at 4470 Airline Road in Muskegon. 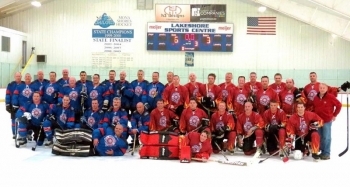 Our local first responders come together to battle it out on the ice, but the real battle goes on with the people they are out to raise money for. Usually, it's for families with kids who have some pretty big needs. One was a service dog in the past. Others have some illness or disorder that people can barely pronounce let alone live with and the best part of all of this, and I'm not sure if you're aware of this...but once a family is adopted by this group...they don't let go. They truly stick with the family like they are part of the team for as long as it takes. It's a special bond that is extended from the police and fire people to the people they serve and it's truly amazing. This year, they are working to help 4 families out who have a range of needs from heart conditions to tumors and the stories of the people fighting the battles are simply put, amazing. The work done by the Guns and Hoses group is simply to say, "We want to do our part" to try and make their situation a little easier. 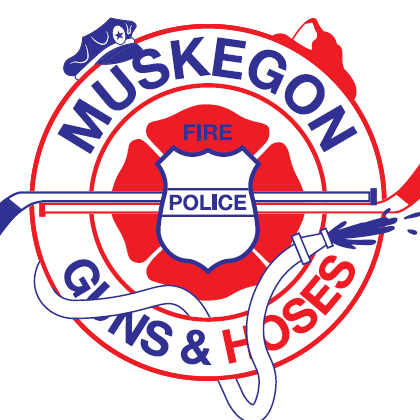 You can meet the beneficiaries all on the Muskegon Guns and Hoses website which you'll find linked at the bottom of the page. Of course, being a fundraising event, you'll find plenty of things at Lakeshore on the 13th. Raffles, silent auctions, donation opportunities and even a chance to drop off food items to benefit Kids Food Basket. It's turned into a HUGE community get together for a great cause and you don't want to miss it if you're a fan of hockey or helping out remarkable people! I met up with Lacey Koens and Chris Wilks who are the chairs of the event. Take a listen to what to expect at Guns and Hoses 2019. It's going to be a great night! The event has grown by leaps and bounds and as Lacey and Chris talked, it's because of a good and caring community backing the first responders who put this together. Click on the image below to visit the Guns and Hoses website and learn a little more about the families who they are playing for as well as the event itself, then, plan on a great night April 13th for a great cause! How about a chance to make things right, at a fraction of the cost and no chance of being arrested? 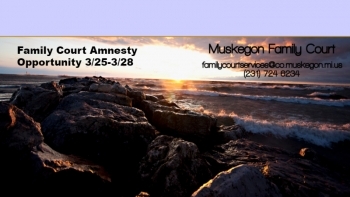 The Muskegon County Family Court is offering just that. From Monday March 25th until Thursday March 28th they are offering an opportunity for anyone behind to come in and meet to make arrangements to get back on track. It's an opportunity to avoid the worry and clear up the penalties at a fraction of the cost. According to Jason Walker who I met with to talk about this program, the Muskegon Family Court isn't "your fathers "friend of the court" any more. They are working on innovative ways to help those they serve make sure that they can tend to the most important thing...which is family. It's true, that sometimes relationships don't work out, but, the additional mounting pressure of fines, warrants and suspensions of driving privileges add to the over all problem and while they can't necessarily "go away" they can work to find innovative ways to help set things straight and hopefully get things back on track. Jason and I sat down to talk about this program, take a listen. It's a pretty good deal. Don't let the fear of repercussions come between you and your kids. Take advantage of this opportunity offered through the Muskegon Family Court and take the first step to some more stability in your life and your kids. It's not easy, that's understood but compared to missing out on all that is there while kids are growing up, this is a chance to put an end to that and get back on track. Full details are in the photo below. 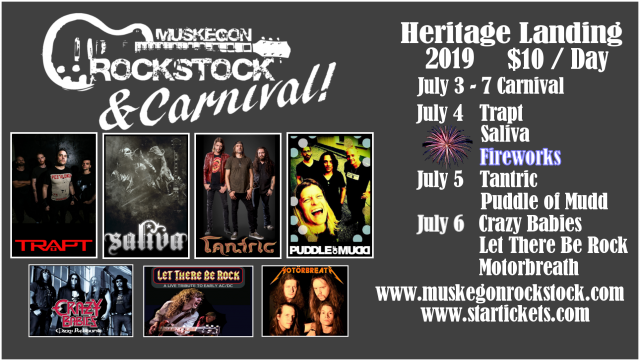 This year, along with the three nights of headlining acts of Puddle of Mudd, Trapt, Saliva and Tantirc, Rockstock is bringing back the midway fun to Heritage Landing over the 4th of July Holiday Weekend. There will also be a gigantic display of fireworks for the entire community to enjoy and of course, they work to keep the food, beverage and merchandise all under a decent price so everyone can feel like they are splurging when the reality is that they are getting a great night out for a very small price and hanging with friends and family at one of the greatest spots anywhere for a live show, the shore of Muskegon Lake. Tickets will remain $10 a night for the shows and a multi day pass is your best value! Brandon Baskin is the promoter of the event and we caught up over at the Norton Shores Branch of the Muskegon Area District Library to talk about the line up, the tickets and what we're all in for this Summer. Take a listen. It's going to be a BIG few nights of fun and the work that's gone in. It's also been a great pleasure to have watched a local group work so hard to grow a festival from a garage to the Main Stage at Heritage Landing. It sticks to the Muskegon mantra of us doing things for ourselves. Tickets are on sale for Rockstock and we're excited to see you at Heritage Landing in July!! Let's all rock out and support the locals at Rockstock!! 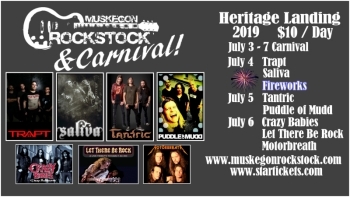 Click below to visit the Muskegon Rockstock website. MC Radio - LIVE! - Play Now!